Dragon. Fortune. 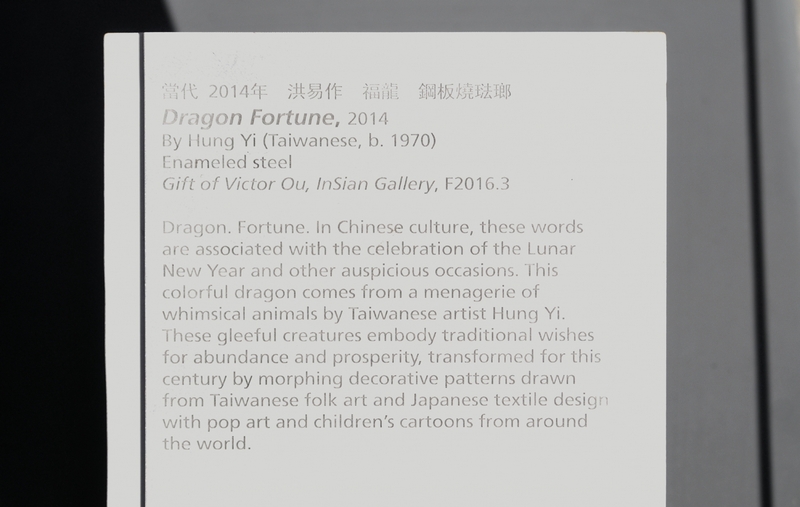 In Chinese culture, these words are associated with the celebration of the Lunar New Year and other auspicious occasions. 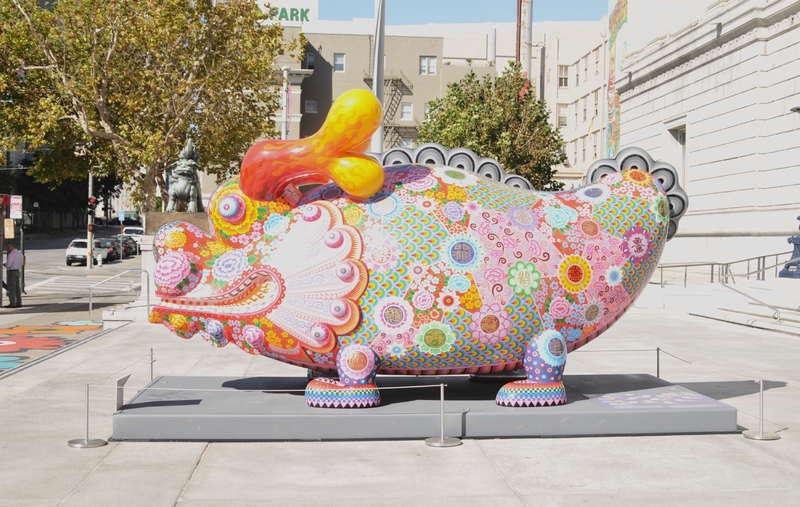 This colorful dragon comes from a menagerie of whimsical animals by Taiwanese artist Hung Yi. 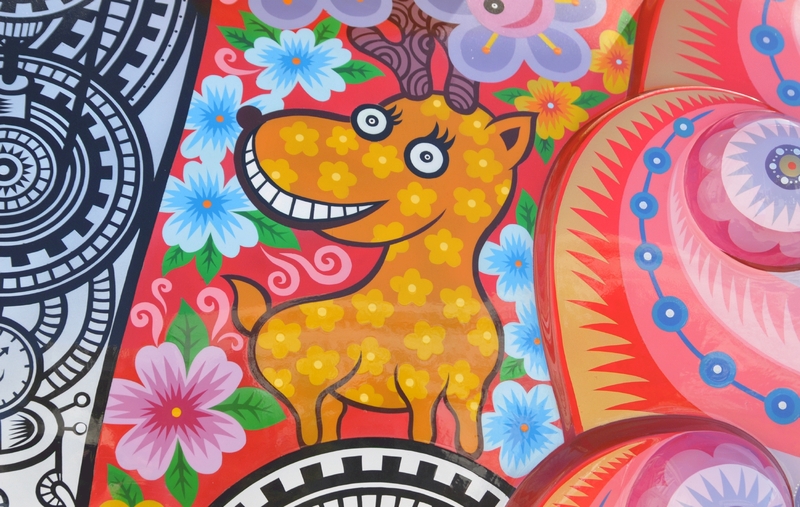 These gleeful creatures embody traditional wishes for abundance and prosperity, transforming for this century by morphing decorative patterns drawn from Taiwanese folk art and Japanese textile design with pop art and children's cartoons from around the world. 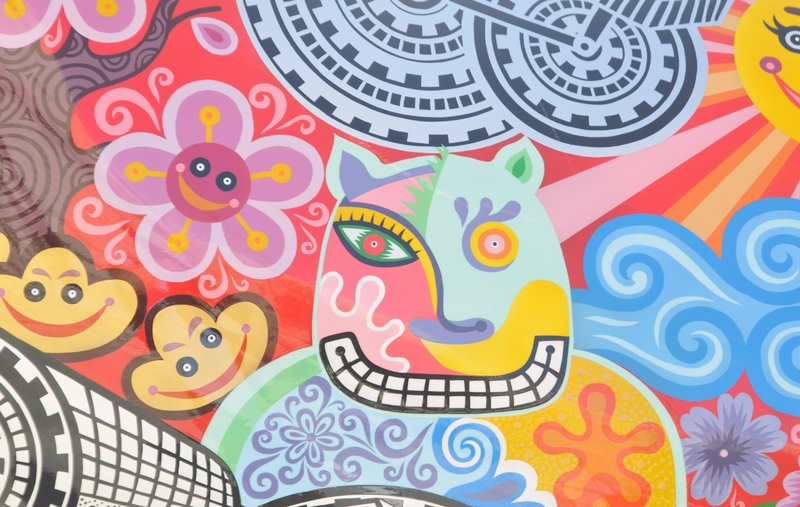 The face of the dragon with its bursting flowers and bright colors. 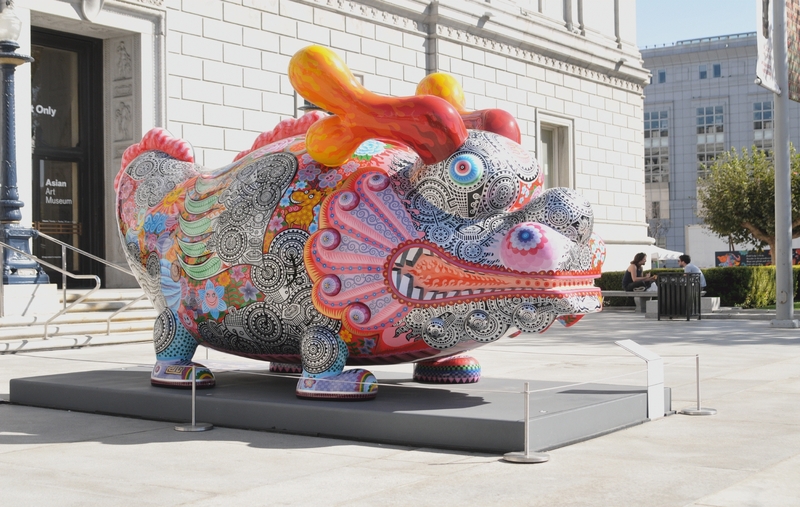 A view of the other side of the dragon with Larkin street to the left and the museum entrance to the right. 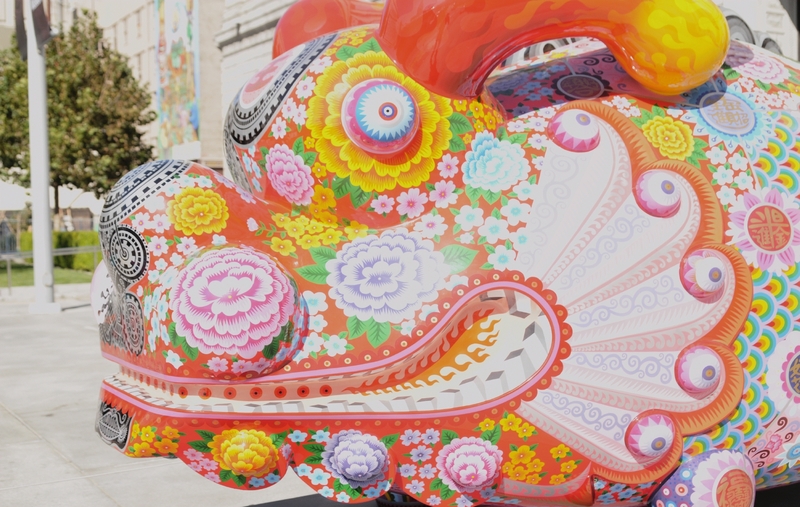 An up close detail shot of the side of the dragon. Another close up shot, this time of the back of the dragon. 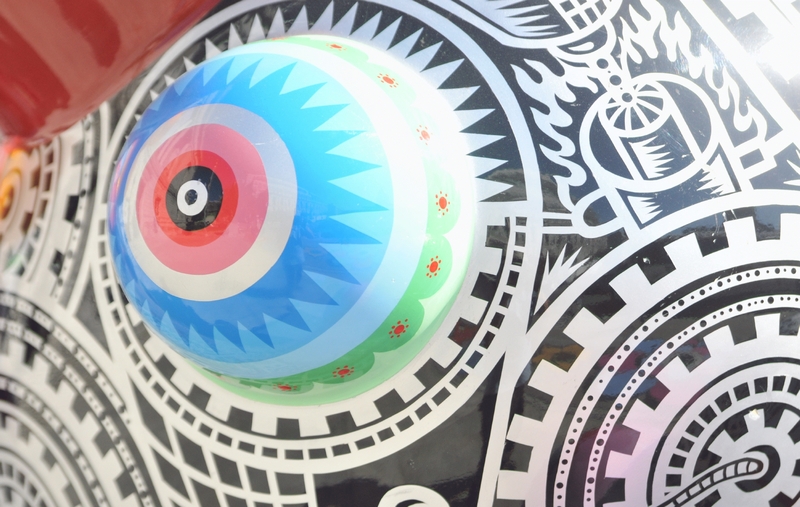 The eye of the dragon bulged out and was surrounded by a black and white design.